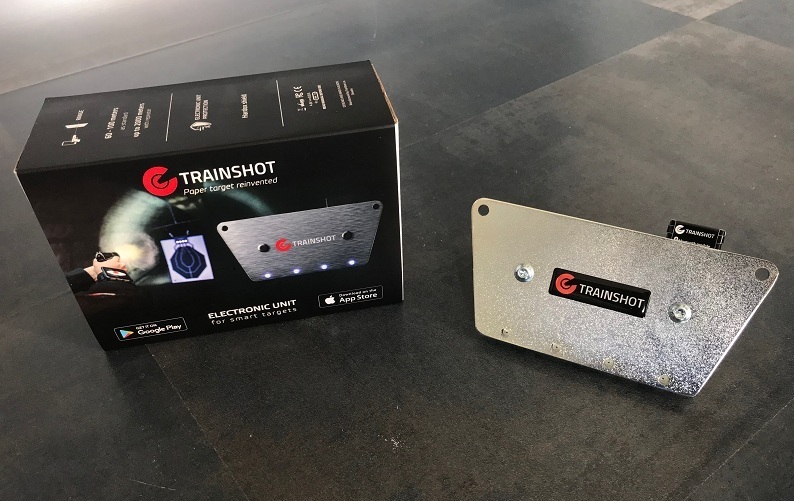 TrainShot is very intuitive and simple device, but in case your first installation and connection is quite puzzled, here is a full guide how to start. Note, this is a short range version with bluetooth module. Open TrainShot electronic unit box. There are TrainShot unit, 2x of ZIP ties, 1x allen key and Quick start manual. Thanks to these two zip ties you can attach your TrainShot electronic unit anywhere at shooting range. From the back side of TrainShot electronic unit are two screws which need to be removed before you attach there your TrainShot cardboard target. When you hang your unit and attach a cardboard target, press and hold ON/OFF button from the back side of unit. LED from the front side shows red, green, blue lights – this is test of functionality. Great. TrainShot electronic unit and cardboard target are ready. Now you can download TrainShot shooting app from Apple or Google store. 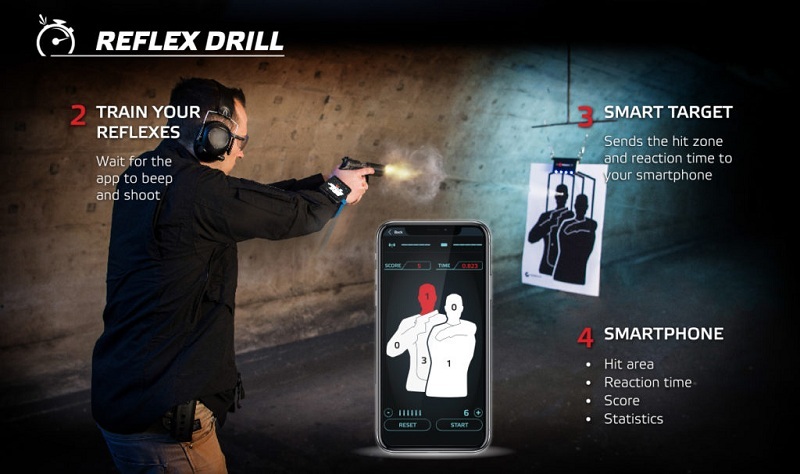 TrainShot app is free and works like virtual shooting trainer. 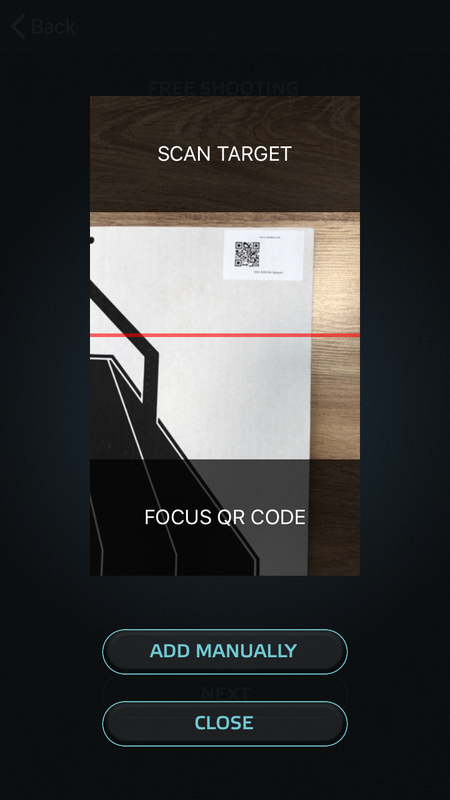 Open TrainShot app. Press CONNECT button, which pulsates. There are all available devices named by its serial number. Of course, you can connect more than one device on one smartphone. So Press CONNECT button. Your device shows now a BLUE light (up to this moment it was RED light). A Smart Drill Makes An Easy Battle. Free shooting offers simple shooting without any training features. 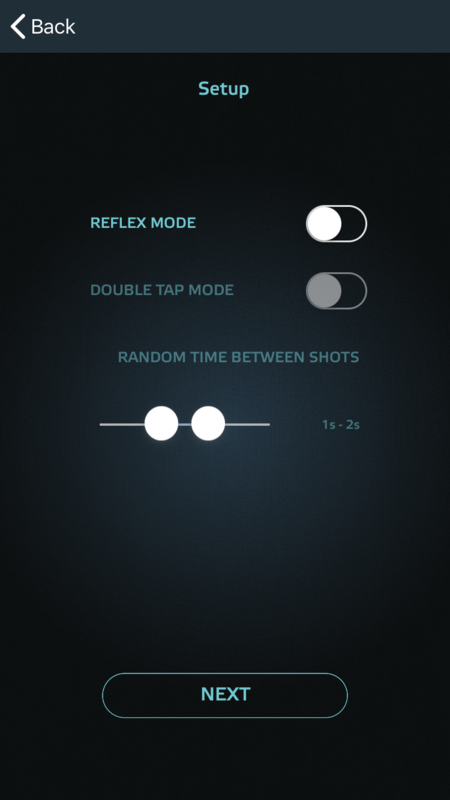 BUT you can switch on Reflex mode and/or Double tap mode and specify Random time between shots. Want to train your shooting reflexes? Choose Reflex drill and press NEXT. 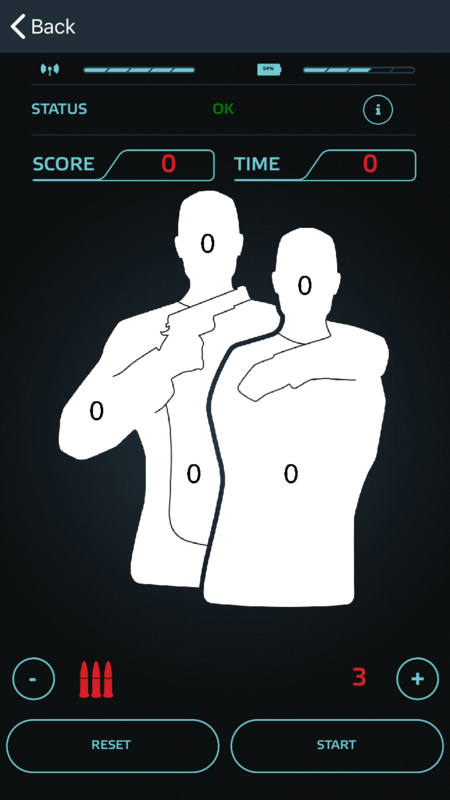 Set up number of bullets in your pistol magazine and press START. App beeps and flashes green light. After this audio and visual signals you have to shoot as fast as you can. 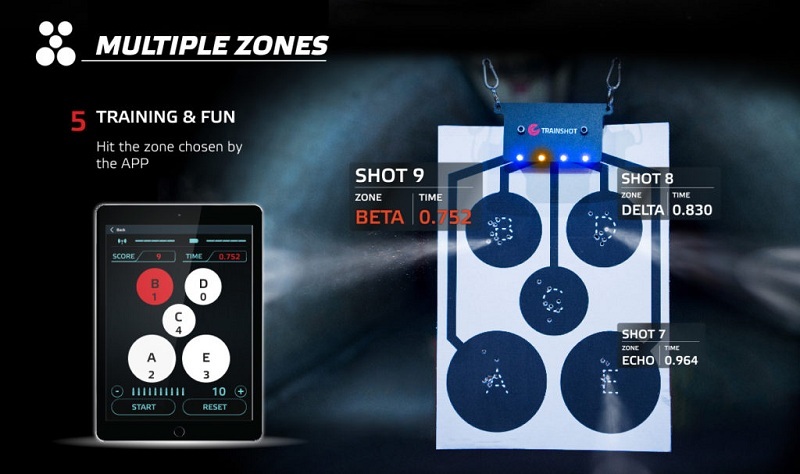 TrainShot monitors every single shot, zones and split times of the hit. After shooting app shows you a chart with your results. Zone of the hit, split time, score and total accuracy, average time and hit pactor. This chart is saved in your personal profile and an be sent to your mail or share. With Double tap you have to shoot twice. After shooting your results chart shows split times, average time and average split time. You simply go back in app and shoot again. No more wasting time by moving target or squint to binoculars. This shooting mode is actually my favourite 😉 Note, this shooting mode works only with reactive shooting target Circles. It’s very similar to Reflex mode, but app tells you which zone you have to hit. So again you can train shooting with or without Double tap, than you set up number of bullets in your pistol magazine and press START. App beeps and tells you which zone you have to hit. Charlie! Bravo! Echo! Alpha! 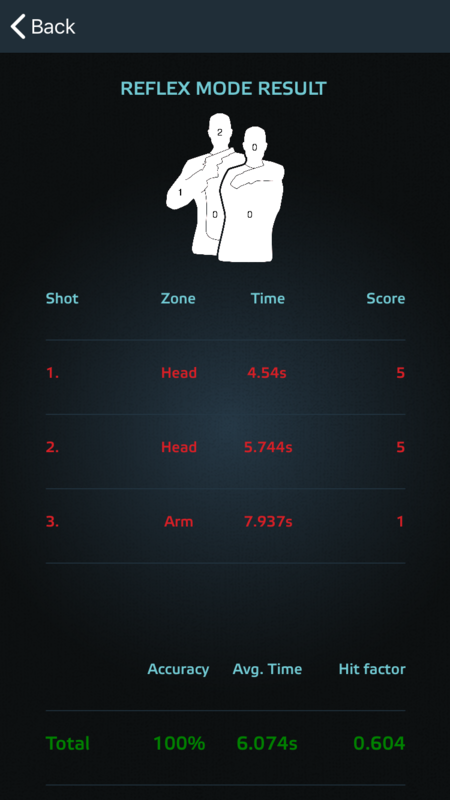 And after each round of shooting app shows your shooting results chart. Zone of the hit, which zone you actually hit, time of reflex, score and accuracy, average time and hit factor. You only press BACK and next shooting round starts. It really as a virtual shooting trainer and it’s fun shooting target. 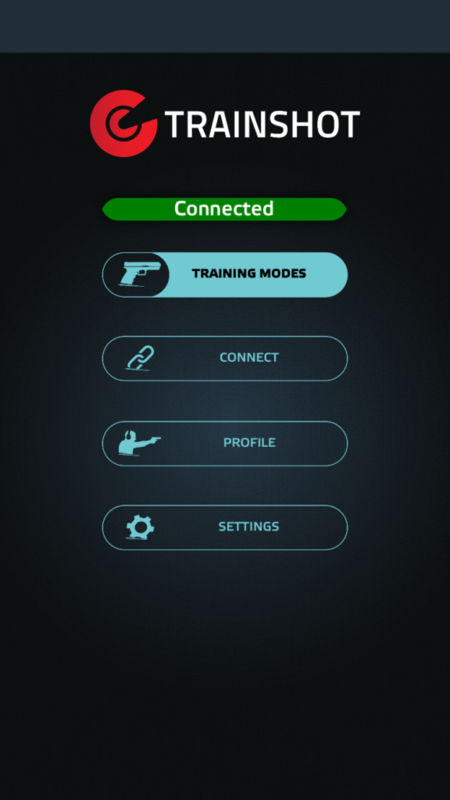 Move your shooting skills to a higher level with TrainShot Multi target rapid engagement and your gun. Take at least 2 and up to 4 TrainShot electronic units attached to TrainShot paper targets. Set them up at your shooting range, doesn’t matter if it is indoor or outdoor shooting range. For better recognise just press “Where is unit” button and TrainShot electronic unit flashes white light. 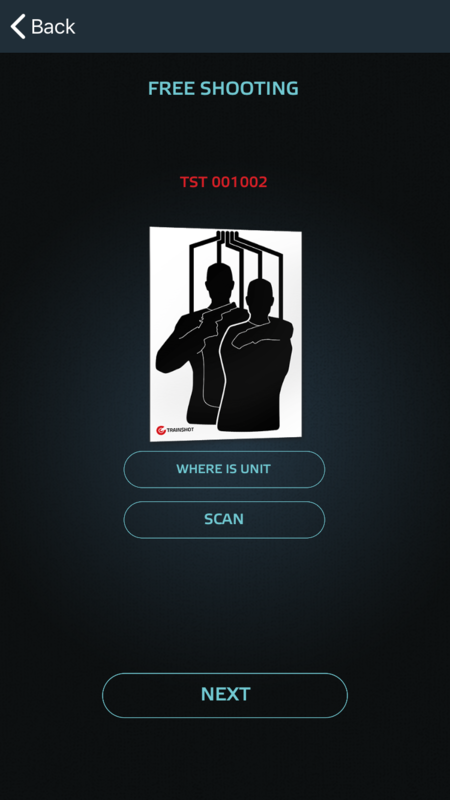 You can set their order by sliding each target in the app, so you will know which target is first, second, third and fourth. And press NEXT button. 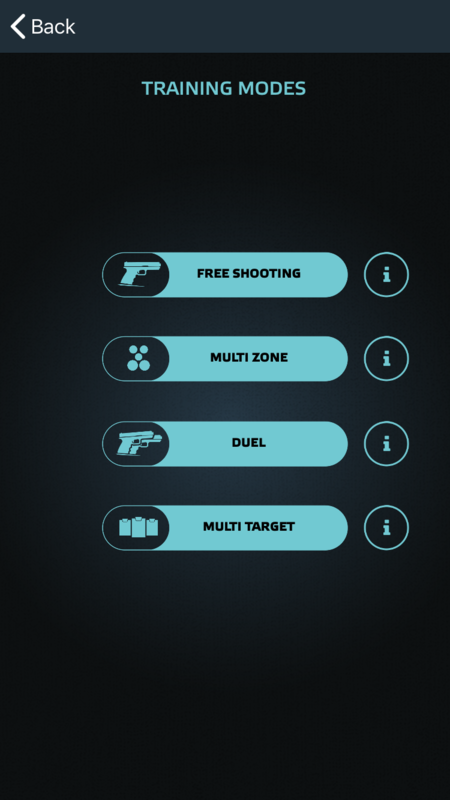 You can again choose from Free shooting, Reflex mode and/or Double tap and Two target at once (you have to shoot two targets as fast as you can). Press START and simply shoot to targets. Press STOP after shooting and chart will appear automatically. Check your zone of the hit, split time, score and total accuracy, average split time and total score. 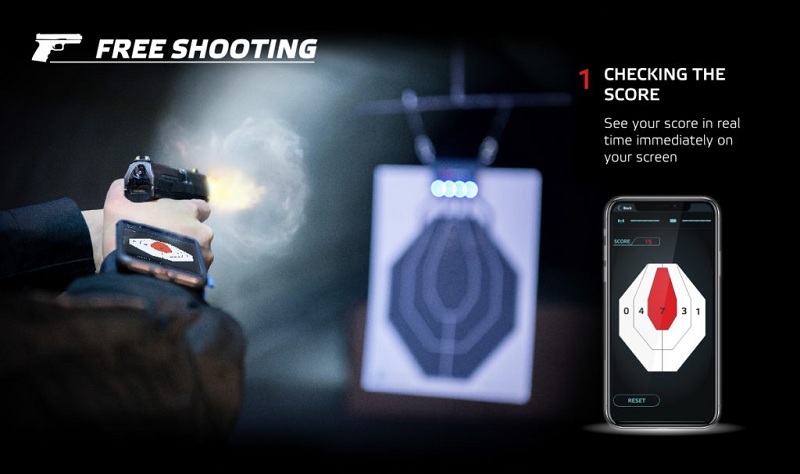 The difference is that app tells you which shooting target you should hit once or twice or both as soon as possible. 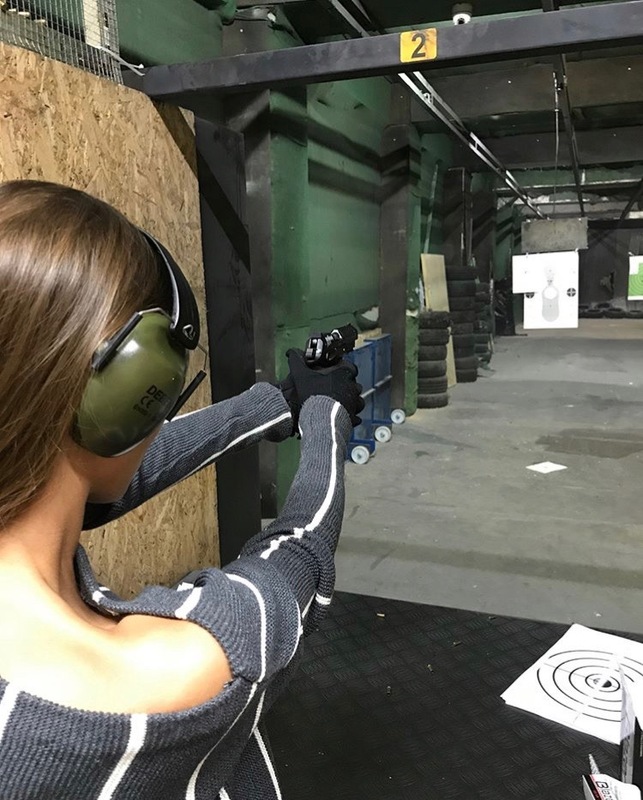 Your virtual shooting trainer saves your ever single shot, result and statistic, you can share it and watch how you improved in exact time frame. 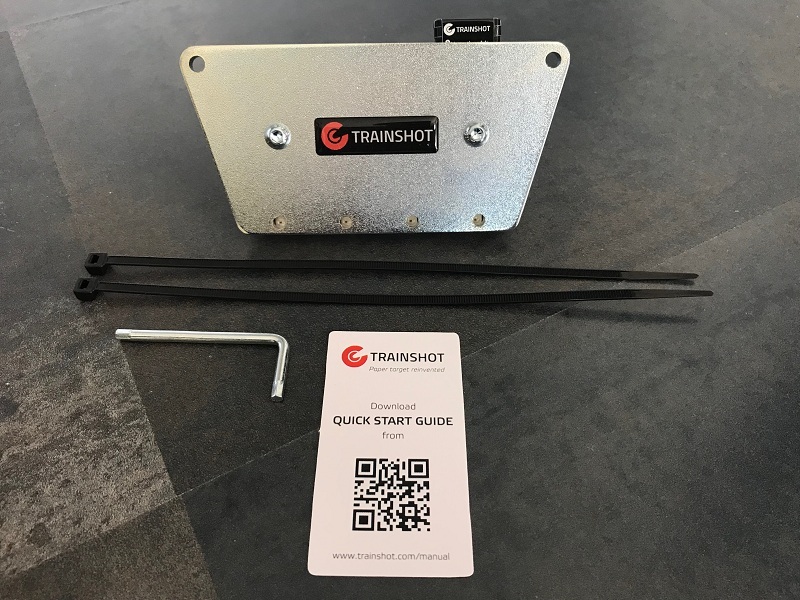 So this was briefly a simple guide how install TrainShot and how to train your gun shooting skills with this smart scoring target system. TrainShot app is updated almost every 15 days, so almost every 15 days there are new features, improvements and modes. And if you will have any question or suggestion, don’t be shy and write us on info@trainshot.com or make an order here. This entry was tagged electronic scoring system, electronic target, gun shooting, gun training, shooting target, smartphone target, target instalation, TrainShot. Bookmark the permalink.